In 1999 BSVM was founded by the Congregation of the Sisters of Bon Secours in order to create a way for lay people to fully engage in the sisters’ charism. BSVM offers young adults the opportunity to serve while living in the same neighborhood with those to whom they minister. As of August 2018, BSVM has communities of volunteers living and serving in Baltimore, MD and Richmond, VA! Both locations enable the volunteers to immerse themselves within the community. They walk to work, attend neighborhood meetings, and create relationships with their neighbors. 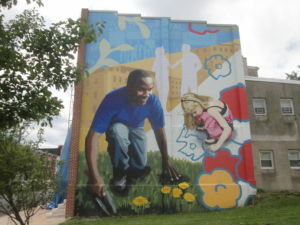 “I am not sure what I expected before coming to Southwest Baltimore, but what I have experienced thus far has exceeded my imagination. Constantly, I find myself to be more capable of learning and loving than I ever thought possible. I attribute this to my heart opening to a community I was graciously invited to join. 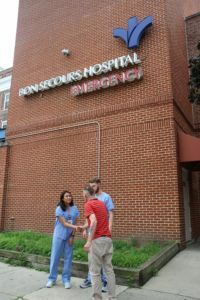 Most of the patients whom I serve live in the West Baltimore community. 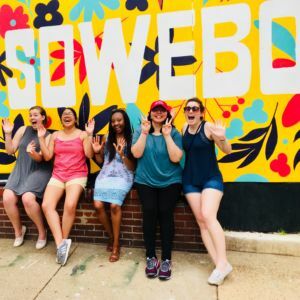 Knowing that they are also my neighbors makes me feel closer to them.” Read the rest of her reflection about living where she served in this blog post.